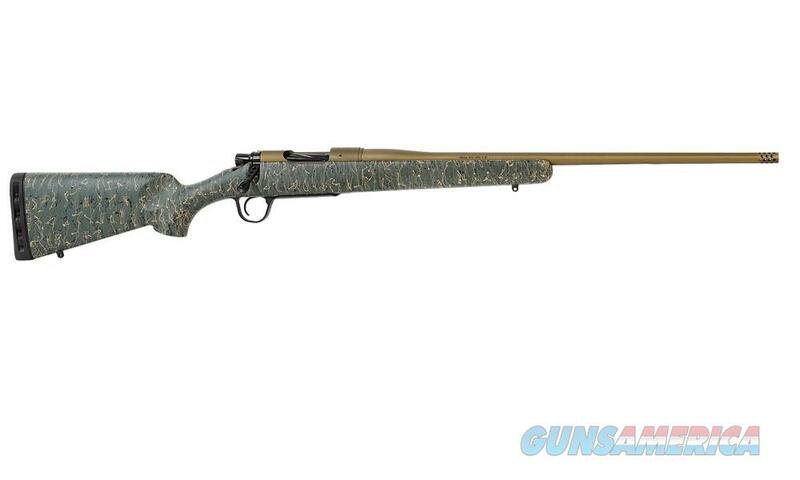 It’s been a year since Christensen Arms launched the Mesa, their premium yet accessible steel-barreled hunting rifle. To celebrate the success of the Mesa, they're launching an additional look. Beginning in 2018, the Mesa rifle will also be available in a new Bronze color. The elements are still the same as the original Mesa: featherlight contour, stainless steel barrel with a removable seamless radial brake, and a carbon fiber composite stock. It’s the same gun with a new look. The Burnt Bronze Cerakote finish, signature Christensen Arms green stock with our black and tan webbing, and a black match-grade trigger, make it a gun crafted to stand out.